A male passenger is facing charges after he reportedly groped a British Airways flight attendant while she was serving him coffee on a London to New York flight, the Daily Mail reports. 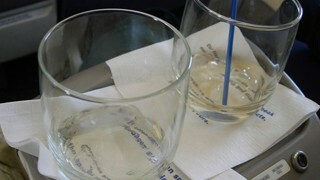 Iurii Chumak, 53, was sitting in row 42 of the British Airways jet, reportedly drinking Dewar's from a bottle. An unidentified flight attendant was serving passengers coffee at the time of the incident. Chumak had reportedly "bothered and abused" a seatmate's wife before the incident. After the flight attendant served him, she turned away to serve others in the row. That's when Chumak reportedly put his hand up her skirt and felt her up. A second flight attendant saw Chumak's actions and placed him in restraints. According to flight attendants, Chumak was drinking and fell asleep, waking up in restraints. Chumak was held up at Customs and reportedly appeared in court. Intoxicated fliers appear to be on the increase: Back in April, a drunk passenger caused a Paris-bound jet to detour. It was reported on Tuesday that a drunk New York man, also en route to Paris, claimed his name was bin Laden at an Air France check-in counter. UPDATE 6/9: Chumak pled guilty in Brooklyn federal court on Thursday to the charges that he groped the British Airways flight attendant. Chumak was on a connecting flight from Kiev on a group tour bound for New York and California when the incident happened, his lawyer told the New York Post. "I'm very sorry that it happened," Chumak told the judge, attributing his behavior to "blood sugar levels" (he was downing Dewar's, after all). The would-be vacation of the U.S. has turned into a one and a half month stint behind bars in federal prison at Brooklyn's Metropolitan Detention Center. He faces a sentence of six months in jail, a $5,000 fine and eventual deportation. Is the potential sentence fair or foul? Leave it in comments.